I recently discussed the role of teaching self-control and the ability to delay gratification as it relates to ourselves and our children. I wanted to dig a little deeper to gain a better understanding of this topic. And how interesting it has been. 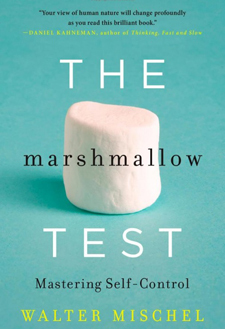 Many of us have heard of the so-called “marshmallow test.” Dr. Walter Mischel administered this test to 4-year-olds at Stanford University in the 1960s. The test was simple: each child was given a marshmallow and was told that they could eat the marshmallow whenever they wanted, but if they could wait to eat the marshmallow for twenty minutes, they would be rewarded with a second marshmallow. While many children ate the marshmallow the minute the adult left the room, others were able to delay gratification. Some even used self-distracting strategy to do so, which included averting their gaze, pulling their hair, squirming around, or smelling the treat but not handling it. Conclusion: even four-year-olds are able to delay gratification. Later, when the participants were 18 years old, they were reevaluated. The results were remarkable. The impulsive children were more moody, tended to overreact to frustration, were indecisive, and were prone to jealousy and envy. The more self-controlled children scored an average of 250 points higher on the SATs, were more cooperative, earned considerably more money, worked well under pressure, and were more self-reliant and confident. But why could some children delay gratification, while others could not? One part of the answer seems to be genetics. However that does not mean that impulsively inclined people are doomed to failure. Genes are not destiny: willpower is a cognitive ability, and cognitive abilities can be learned and used to override undesired tendencies. Mischel describes two systems in the brain that impacted choice and action: hot (or limbic) and cold (or prefrontal cortex). The hot system focuses on immediate rewards or threats (the present) while the cold system analyzes outcomes and has a more future orientation. If we suspect that our child has a present orientation rather than a future orientation, what can we do to support the development of healthy self-control? Create “When, Then” rules. When you pick up your toys, then we’ll read a story. When you feel frustrated with your homework, come get me and we’ll discuss it. Help your child focus on consequences. When offered with choices, remind the child of the consequences of each choice so that they can make a more informed decision. To use a literary reference, does your child want to be a grasshopper or an ant? Create distance from temptation. If temptation is more abstract, it will be easier to resist. For example, Sesame Street used a storyline with Cookie Monster wherein he wanted to join the Cookie Connoisseur Club. However, to become a member, he had to learn to wait for his cookies. He ‘framed’ the cookie, pretending that it was just a picture (because you can’t eat a picture). He also imagines that the cookies are smelly fish, since he wouldn’t be tempted to eat smelly fish. Keep your promises to your child. All too many children are growing up with absentee parents or in unpredictable environments in which promises are made but not kept. Given that experience, the young mind would reason that they should grab whatever is at hand rather than wait for something that probably won’t show up anyway. Offer support, but don’t over-control. 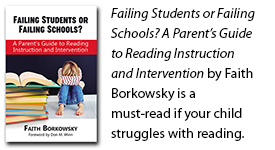 If your child is having difficulty reasoning on a choice, patiently walk them through the consequences of each option. Impatience will undermine the child’s developing self-control skills. Demonstrate your confidence in their ability to make a good choice.